Welcome to one of the finest Villa in El Pedregal. One of the most exclusive gated communities in Cabo San Lucas. 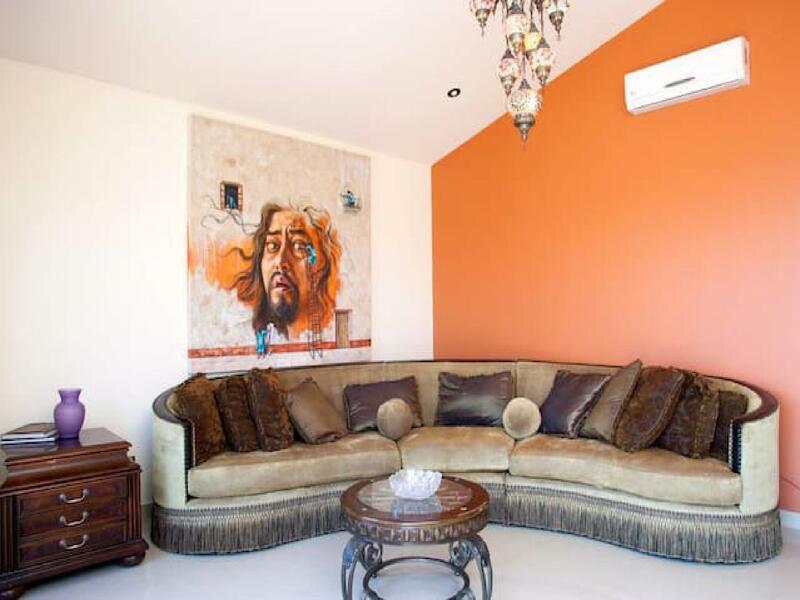 This gorgeous villa beautifully designed, features 3 bedrooms and 6 bathrooms and has been beautifully decorated with original artwork by its owners. The décor is contemporary, with Mexican and tropical touches. It is indented to be cozy, relaxed, and comfortable, furnished with your comfort and enjoyment in mind. Equipped with a flat screen TVs, alarm clock, safe, phone, Wi-Fi internet air conditioning, and ceiling fan. The two master bedrooms features a king size bed, lots of closet space with an on-suite bathroom. The third bedroom features a two queen size beds, and private bathroom. Be our guest and find out why more and more travelers rate Cabo as the #1 vacation place of Mexico. 'El Pedregal" Is one of the most exclusive and secluded Residential communities with great views in Cabo San Lucas. Great for Families, romantic gate-away, honey moons, weddings, friends and couples traveling together.House Rules:smoking indoors is strictly prohibited. Please ask about pets there is restrictions fee also may apply.